The “ber” month beckons! Have you written the names of friends and colleagues who are nice and checked it twice? This year though, go beyond merely completing your list and trust Marriott Hotel Manila in the art of giving. 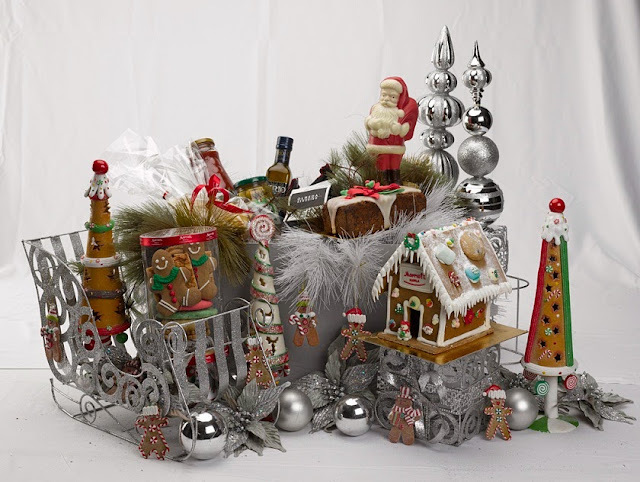 As early as now, the renowned 5-star hotel has thoughtfully put together its selection of hampers that will definitely make an impact the moment they receive the hamper box, be thrilled to see the stylish, sweet, and savory treats inside it, and even use the sturdy hamper box afterwards. 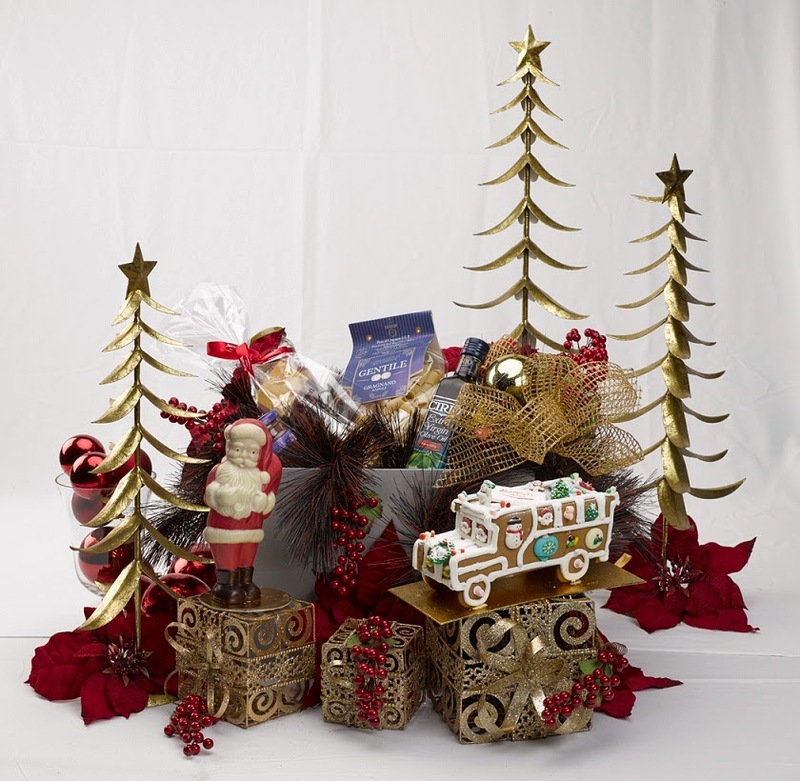 Whether you’re looking for something to express a modest thank you or something to show that words are not enough for their support, each hamper exudes your grateful heart. The Classic Hamper only at PhP3,400 contains a gingerbread jeepney, chocolate Santa Claus, mango chocolate bar, dry pasta, tomato sauce with basil, extra virgin olive oil, and martini olives. The Deluxe Hamper on the other hand has a gingerbread house, chocolate Santa Claus, classic fruit cake, 6 pieces of homemade cookies, Spanish paella rice, tomato sauce with basil, extra virgin olive oil, and martini olives for PhP5,100. The PhP8,800 is a small price to pay for the VIPs on your list who certainly deserve the Cru Premium Hamper. Aside from the chocolate Santa Claus, gingerbread house, and martini olives, the Cru Premium Hamper includes a Cru Steakhouse VIP reservation plate for her or him to dine at the metro’s premium steakhouse, a Benchmark Cabernet Sauvignon with two wine glasses, Nutella, brie cheese, salami and crackers, 4 pieces of chocolate truffles in a box, and Illy coffee. Want to spoil them some more? You can also order a lot of other fun-filled treats to fit their personality. Those with a sweet tooth will remember your sweetness if you give them Chocolate Masterpieces like the Mango Chocolate Bar (Philippine dried mangoes enveloped in Belgian white chocolate) or the Chocolate Santa Claus, the Chocolate Snowman, and the Chocolate Santa with Gifts for the young ones and young once. For that added texture, the Milk Chocolate Cluster made with 100% Belgian milk chocolate with nuts and dried fruits does the trick. Those who prefer hand-rolled Swiss-made chocolates can have a box of 4 or a box of 9 of Pralines and Truffles. Patrons of Java+ will surely be thrilled to see the hotel’s Pastry Specialties such as the Gingerbread House (the edible masterpiece made of sweet cookie dough flavored with ginger and honey then decorated with colorful pastillage, cookies, and sugar candies), big Homemade Cookies (in chocolate chip, strawberry, cinnamon, crinkles, almond, and oatmeal flavors), or the classic Grandma’s Rum-Flavored Fruitcake. There’s also the melts-in-the-mouth and mildly moist Macarons (in mango, strawberry, vanilla, chocolate, and mocha butter cream flavors) and the traditional Stollen Bread (the German version of the fruit cake in which the dough is added with a light kick of orange, candied citrus peel, raisins, almonds, then spiced with ginger and cinnamon). Other delightful treats are the Buche de Noel (traditional yule log cake that is colorful and smoothly baked with iconic elements of Christmas in chocolate ganache, chestnut caramel, and tiramisu flavors) and the Winter Berry Cheesecake (traditional white chocolate cheesecake topped with luscious cranberry compote and Christmas chocolates). For those who prefer deli delights, let them have a feast by adding Spanish paella rice, brie cheese and crackers, salami and crackers, Nutella, dry pasta, orange marmalade, Balsamic vinegar spray, tomato sauce with basil, extra virgin olive oil, and martini olives in their hamper. These can be perfectly paired with the hotel’s gourmet beverage selections: Moët et Chandon, Cabernet Sauvignon and Chardonnay of Wine Benchmark, Australia; and Illy coffee. 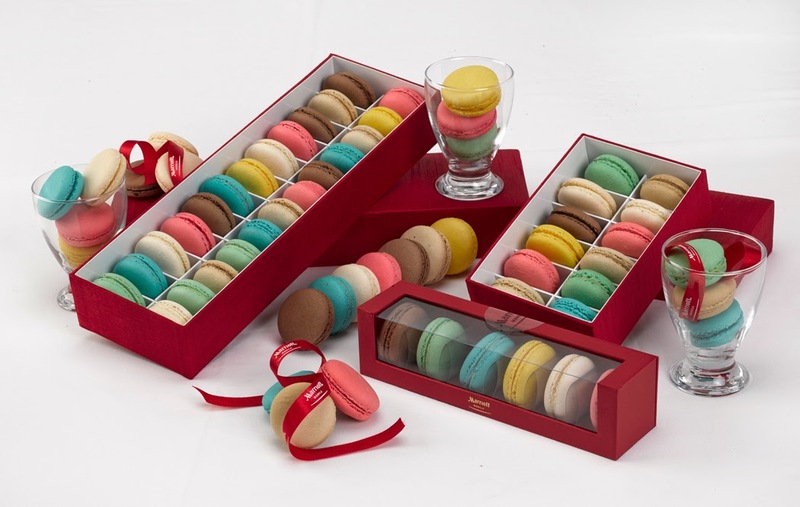 You may also opt to show them your thoughtfulness with collectible mementos of the hotel like the Marriott stuffed toy, Marriott tumbler, or an additional hamper box. If you are lavish, give them a Club Marriott membership at only PhP7,800. 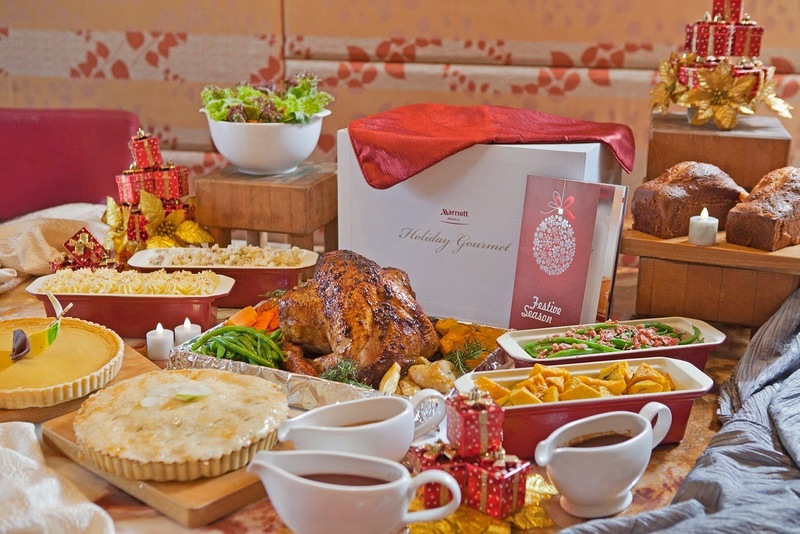 Marriott Hotel Manila continues the season of gifting, Thanksgiving, and merrymaking through its Turkey to Go. Of all the dishes that make up the Thanksgiving Feast, the turkey demands the most attention. So whether it’s a feast for your family and friends or a special dinner with your colleagues, it is best to have an early order of Executive Chef Meik Brammer’s original roasted turkey so you can choose your red letter day between November 28 to December 25, 2013. The PhP7,500 package includes 6 to 7 kilos of whole roasted turkey, cranberry sauce, lettuce salad with dressing, potato salad, a kilo of classic stuffing, pan gravy, buttered mashed potato, Brussel sprouts with bacon, baked pumpkin, baked pumpkin pie, and baked apple pie. Success in fruitful partnerships begins with a grateful heart. Giving the best starts with Marriott Hotel Manila. For orders and inquiries, call (02)9889999 local 8090.